First, it was prayer in schools. Next, it was gripe at the U.S. Treasury for all that “In God We Trust” mess. Now, a concentrated group of collegiate nimrods have decided to take on the student body of their Texas institutions demanding “in the year of our Lord” be removed from their diplomas, according to WOW News’ Houston Belief (from the Chronicle). 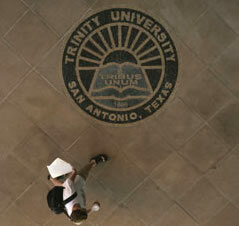 The catch – and I can’t make this stuff up – the students attend a faith-based institution called Trinity University. Hey, uh, Sid. When you were a senior in high school messing with your lovely hijab for graduation pictures, you were thinking about colleges to attend, right? Did Allah hip you to the fact that “TRINITY” was a big clue as to where this particular institution had some allegiance? “Any cultural reference, even if it is religious, our first instinct should not be to remove it, but to accept it and tolerate it,” said Brendan McNamara, president of the College Republicans. McNamara pointed out that Trinity displays other signs of its Christian heritage, including a chapel on campus, a chaplain, Christmas vespers and a Bible etching on the Trinity seal. “Once you remove that phrase, where do you draw the line?” McNamara asked. Hello? McFly? Does air get underneath your head covering because you may be getting dizzy. Granted, this girl has gone almost 16 years studying some fashion of history where the years were annotated with either B.C. or A.D. Also, she has attended a college in heavily Catholic San Antonio named after the three facets of the triune Godhead. Nevertheless, it wasn’t until now that a sanctimonious weed has sprouted in her staunch Muslim behind. And prior to what she thinks or has been told in her local Mosque, A.D. does not mean “After Death”. If that were the case, then Jesus’ 33 years on this earth would be the gray zone. A.D. is Latin for Anno Domini Nostri Iesu (Jesu) Christi. 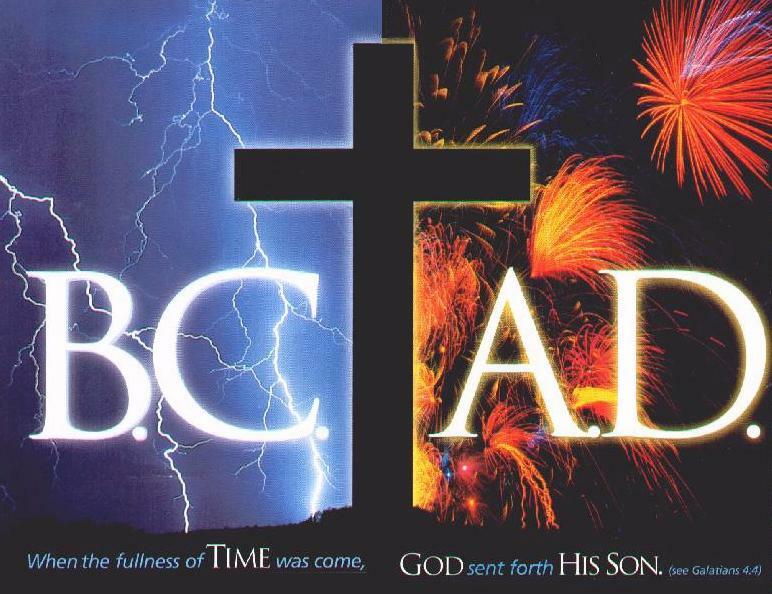 And, like it or not, the ministry of Christ is the “turning point of civilization,” which makes 2010 not the year of our Allah. Sorry, but Neener, Neener, Neener! Some do not like it, but deal with it in solace because the money in their pocket – although adorned with God’s grace – gets the hippie lettuce from the town’s half-baked loser. And, despite the dastardly reminder of what year this is, said diploma helps folk get a job outside of waiting for the fry guy to retire so you can stop making those friggin’ shakes all day. In the interest of free and open exchange of ideas and thoughts, the University has held a forum to examine the request from a range of viewpoints… in May, the Board of Trustees is expected to consider the question of changing the language of diplomas. I have a viewpoint, and it’s not all together sanctified but what the hey… hand the scattered few who have a problem with it to graduate and split. If they aren’t happy with it, how about attend Muhammad’s Campus of the Performing Arts or The University of Freethought. Sorry? Those don’t exist? Then shut up. Every college diploma in the U.S. has that because it’s called time. It’s not a religious statement; it’s a chronological one. And for both the Julian and Gregorian calendar, so cuss out a Christian and a Pagan if you would like. This is a Presbyterian college, lady and you should have known that attending your first class of English 101. They aren’t changing… so I suppose you should. Sure, you got your 15 minutes of dumbfounded fame. Sure, you scared the school’s PR flack Susie Gonzalez into writing that shameful press release. But Kushite, please. “Our Lord” isn’t going anywhere. You may however. Or better yet, ask your nearest campus counselor where the bookstore is located. No, not to purchase a Qu’ran but liquid paper. I hear that stuff will wipe out anything, including that light-headed issue you are currently battling. It’s sad that things like these come up amidst all of the world’s difficulties. Must we focus on such things instead of focusing on matters that could help save lives, things that builds for us bridges instead of walls? People are dying, people are taking their own lives, and it doesn’t matter to them whether we include or exclude God’s name in our diplomas, but whether such a God could help them where they are. You can’t convince me that this person would try this in the country of their parents nativity. What a nut, as well as those entertaining the thought of making diploma changes! P.S. I don’t think God would be disappointed if we took his name off our money(filthy lucre) either, but I get your point. Ha, that is a silly request when attending a Christian college.